Billet Grilles & Custom Grilles for Trucks, SUVs & Cars. It's time to upgrade your ride today by installing a brand new custom aftermarket grille! 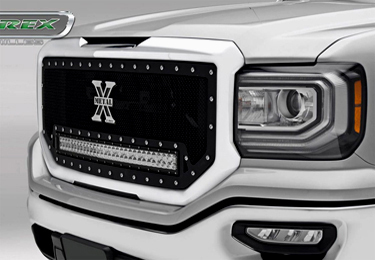 We offer a selection of custom billet grilles and appearance accessories to dress up and customize your Truck, SUV or Car. The specialized accessories we offer are designed to fit a wide variety of different vehicles, makes and models. 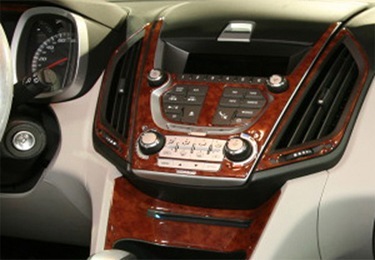 Select from Billet and Custom Grilles, Chrome Accessories, Interior Dash Trim Kits and much more. We now also carry all types of dash trim kits for many different vehicles with many different finishes and colors to choose from. Real Woods, Synthetic Woods, Carbon Fibers, Chrome, Real Brushed Aluminum and Modern Colors, we have them all. Made right here in the USA. Quality is second to none and our kits come with a limited lifetime manufacturers warranty. What Exactly is a Billet Grille Anyway? Billet and custom grilles are designed to customize the appearance of your car, truck or suv. They are can be made from aluminum bars called billet aluminum or steel mesh such as stainless steel and they are designed specifically to improve appearance with some functional benefits too. For example if you drive in an area that has large bugs or rocks on the road, a billet grille or mesh style grille can protect your radiators from damage and clogging. A custom billet grille can be manufactured on a precision CNC machine or welded together using a T.I.G. welder or robotic welder. Billet grilles are finished in powder coat black and then the face is polished to a show quality chrome-like shine to finish it....more information. If you are looking to freshen up the look of your car, truck or SUV, a great way to do so is with a custom grille! Next to custom wheels and tires, a new custom grille is an economical way to dramatically improve the look of your ride. 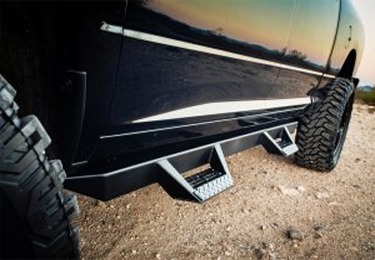 We carry a complete line of custom grilles including billet grilles and truck grilles by only the best in the business. We carry T-Rex Grilles, E&G Classics, Grill Craft, Ablaze Grilles and many more custom grilles and APS stainless steel billet grilles are to name but a few. These reputable companies have been in the business for many years making custom billet grilles and produce only high quality products. Browse our site and you will surely find a custom grille that appeals to you. Visit Billet Grille for more detailed info on billet & custom grilles.